Mornings around our house always seem to be rushed. It may have something to do with the fact that I’m not an early morning person. Ideally, I would make a hot breakfast for the kids in the morning, but honestly…that’s just not going to happen (although I do often make our Freezer French Toast). As a result, I’m always looking for quick and healthy recipes that my kids love. 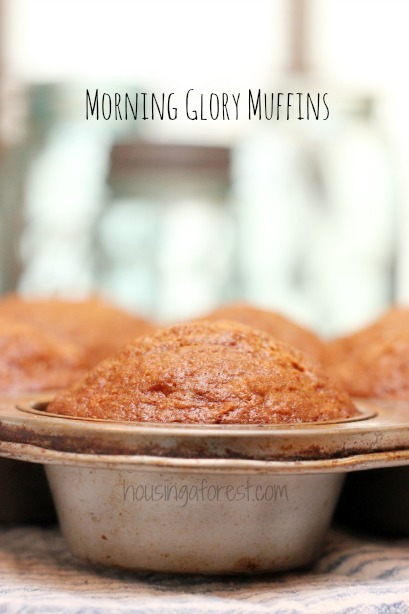 This simple Morning Glory Muffin Recipe is one of our favorites. Plus they are packed full of yummy ingredients making them hearty and healthy. A total win in my book. Dessert for breakfast but without the guilt! Yes please! Stir together the sugar, flour, cinnamon, baking soda and salt into a large bowl. Add the coconut, raisins, apple, carrots and nuts. Stir to combine. In a separate bowl, whisk the eggs, oil and vanilla. Stir into the dry ingredients and mix well. 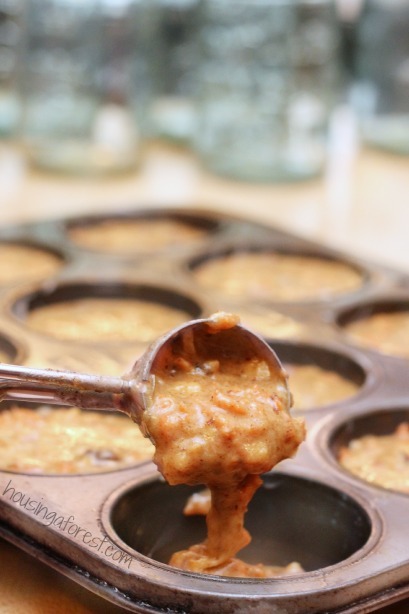 Spoon the batter into greased muffin tins, filling each to the brim. Bake at 350 degrees F for 25 minutes or until a toothpick inserted into the middle comes out clean. The original recipe is not gluten free. However, I have to say it is one of the easiest recipes to make gluten free. My mom simply substituted the regular flour for a Gluten Free all purpose flour and it was amazing! 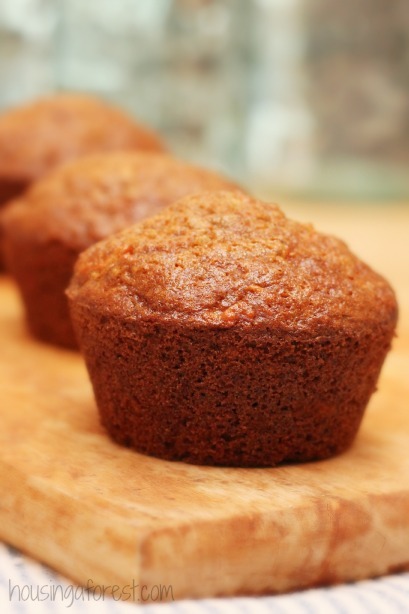 Gluten free muffins tend to be a little dry, however these muffins are packed full of carrots, apples, raisins, nuts…making them so moist. Love that! 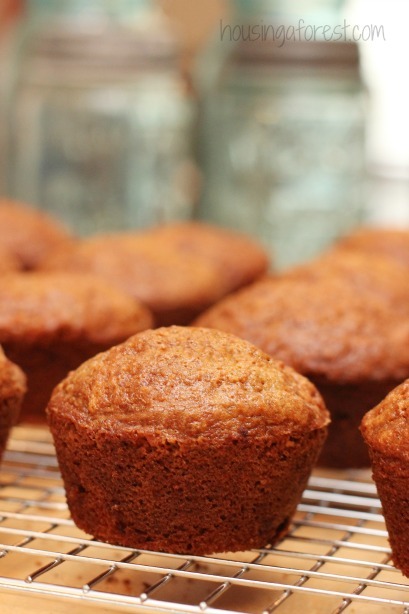 These muffins taste almost better after they have sat overnight or been frozen. Making them perfect for making ahead, and having in the freezer for a quick on the go breakfast. 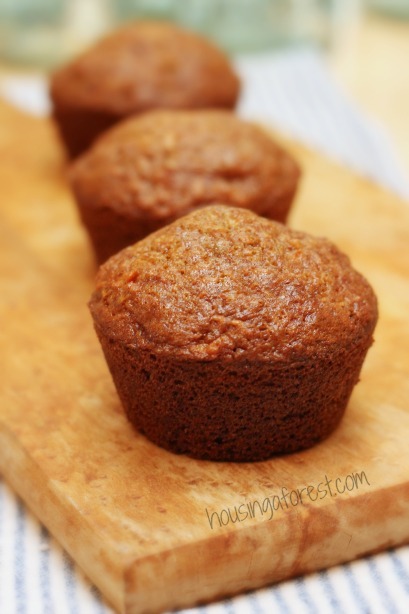 Carrots in muffins…delicious! Basically desert for breakfast with out the guilt. 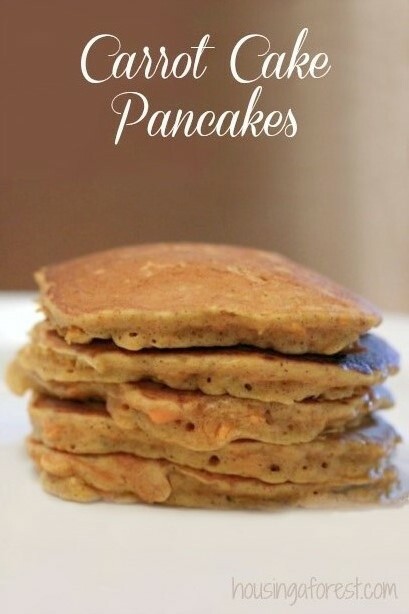 You may also enjoy our favorite Freezer French Toast, or Carrot Cake Pancake recipe. Yummy! This entry was tagged Breakfast, Muffins, Recipes.